It’s officially December. This means the silly season is well and truly among us. And of course, that brings with it countless Christmas lunches, dinner, parties with load and loads of socialising. Well here’s something that might sound familiar for you to reflect on…How often do we merely engage in idle chit-chat just to fill the silence? We often exchange facts and pleasantries for the sake of passing time and/or avoiding awkward situations. We even have a name for it: small talk. The dictionary defines small talk as “polite conversation about unimportant or uncontroversial matters, especially as engaged in on social occasions”. It’s by no means a new phenomenon. Anthropologist Bronisław Malinowski’s described small talk almost 100 years ago as “purposeless expressions of preference or aversions, accounts of irrelevant happenings, and comments on what is perfectly obvious.” Now don’t get us wrong, we’re not negating small talk altogether. There is definitely a time and place for it. In fact, research shows that small talk actually acts to reaffirm social links and can even make us happier. But…in comes: medium talk. It’s exactly how it sounds. The term was coined by none other than Larry David in his TV show ‘Curb Your Enthusiasm’. He describes it as “the act of elevating small talk to medium talk”. It’s about adding a more substantive layer into the mix. Getting real for a moment, even if with just an acquaintance or dare we suggest it, a stranger. A study by the University of Arizona and Washington University found that well being is indeed related to having less small talk and more ‘medium talk’. Volunteers had 30 sec soundbites recorded every 12.5 minutes over a period of four days. The paper concluded that the happiest participants had twice as many substantive conversations and one third as much small talk as the unhappiest participants. Now let’s go one step further to – you guessed it – ‘large talk’. We’ll claim the rights to this one. It’s about getting down and dirty into the perhaps less comfortable matters. The really real stuff. The sort of meaningful conversations that keep reflecting on for weeks. The life-changing, life-saving kind of questions that are simple in nature yet profound in effect: How are you really doing? What keeps you up at night? What do you want for your life? We challenge you over the next few weeks to up the ante a little. Try adding more medium talk into your daily repertoire and even some large talk if you’re game. Who knows, it might just change someone’s life (and yours while you’re at it). 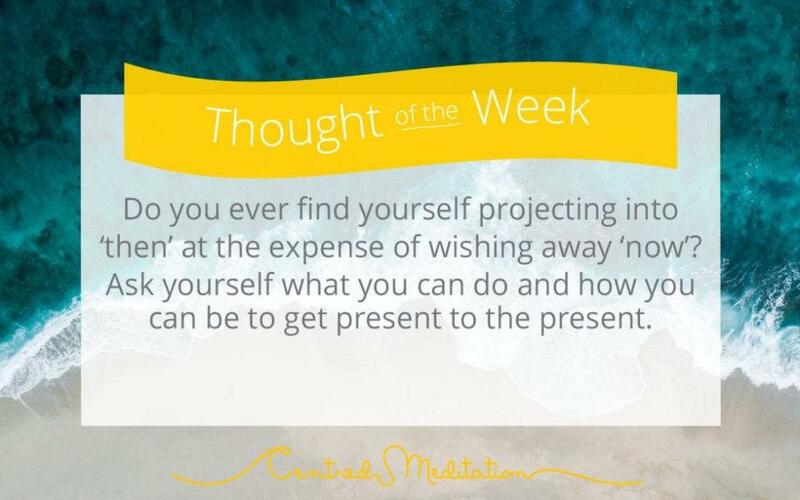 Centred meditation is a fantastic way to wind down during the working day & get some calm into your day. The setting is perfect - with tea, comfortable armchairs & blankets! The speakers are brilliant & its become part of my daily routine. Would highly recommend you to try it out!